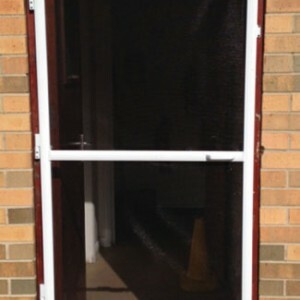 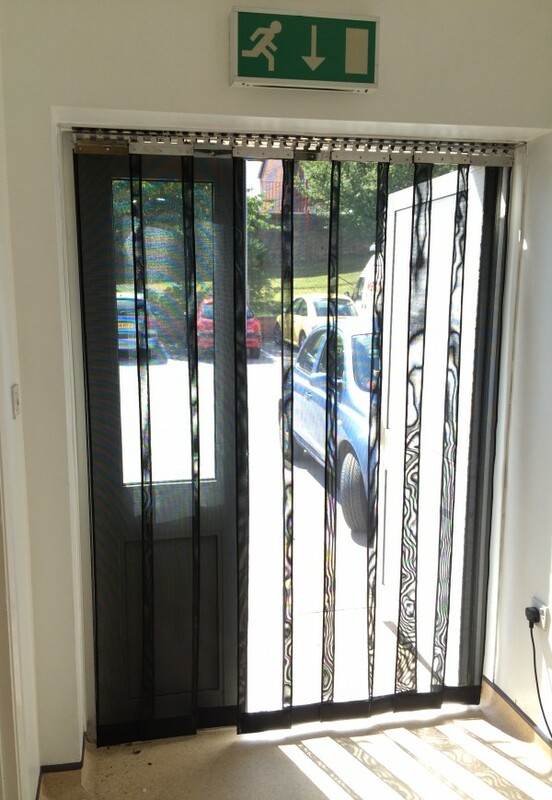 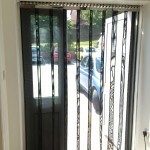 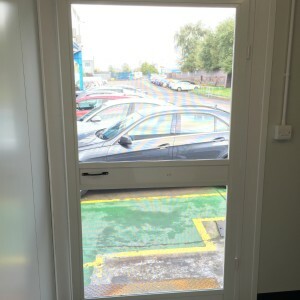 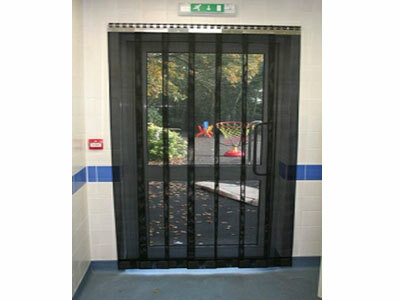 Our heavy duty strip mesh fly screens for doors have been designed to be installed onto single doors and double doors on commercial premises. 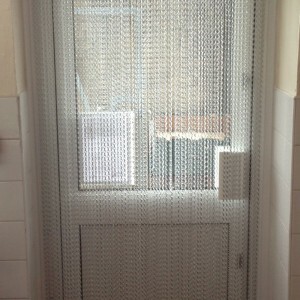 The heavy duty fly screen strips are suitable for heavy traffic areas allowing a healthy flow of fresh summer air whilst keeping out flies, wasps, mosquitoes, midges, moths and all types of flying insects. 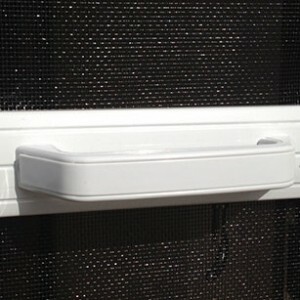 They will keep kitchens, food storage areas and all other rooms completely fly free the whole year round. 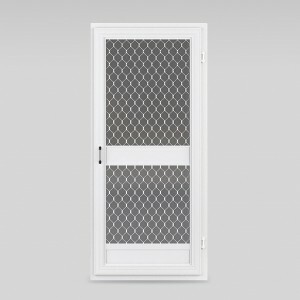 Constructed from rust free, stainless steel components – they can be used in the harshest of conditions, as endorsed by P&O ferries, even in salty sea air! 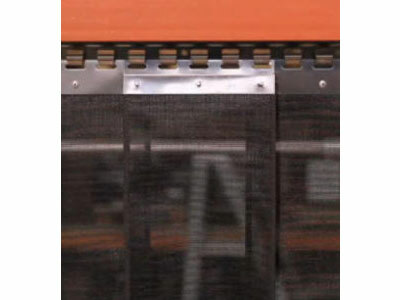 The heavy duty strip mesh fly screen doors are manufactured from Suntex insect mesh, the ultra-durable polyester industrial fly mesh – and no other insect mesh compares to this CE quality product. 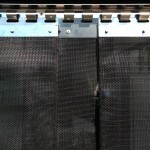 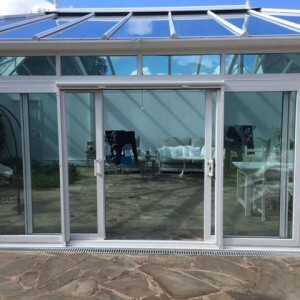 Each individual insect mesh screen panel is bespoke manufactured to your exact measurements. 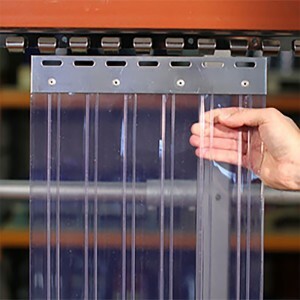 Soft touch edging is sewn along the full length of the fly mesh panel to protect personnel as they walk through, and weights are sewn into the base of the panel, protected by the mesh, to make sure the door falls back into position and always remains closed to flying insects. 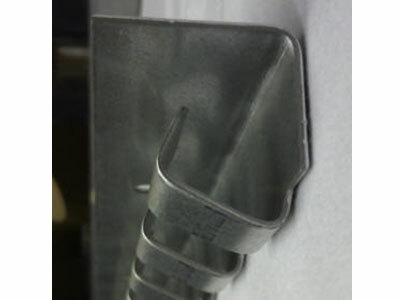 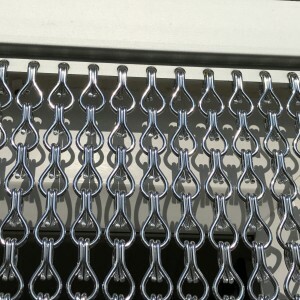 Stainless steel hanging plates are riveted onto the fly mesh strip panels and then these are hooked onto the stainless steel header rail, which is screwed into the head of the door frame above the opening. 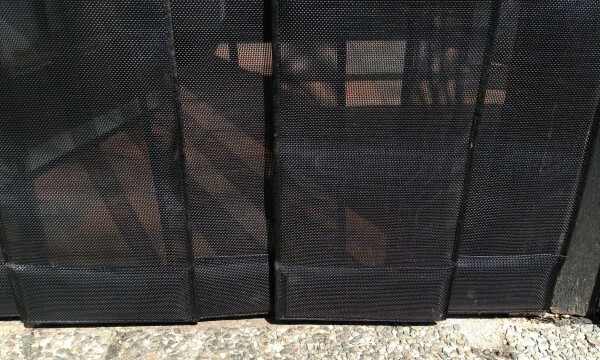 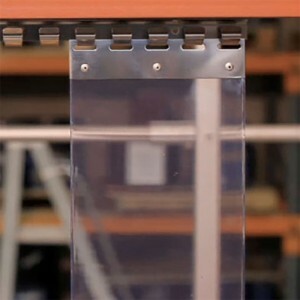 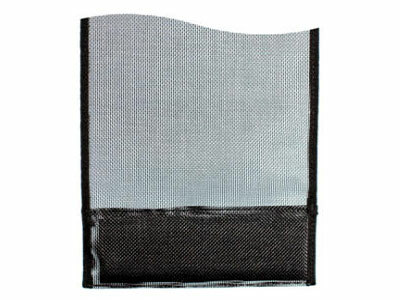 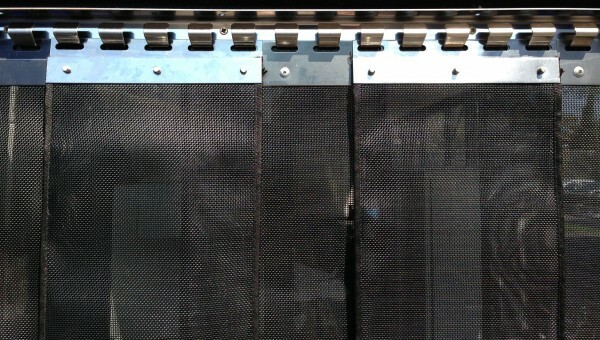 The heavy duty strip mesh fly screen panels overlap each other to maintain the protective barrier against flying insects, and are easily removed for cleaning. 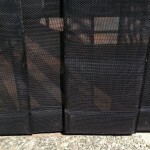 So, an ultra-durable fly screen mesh combined with the ability to remove each individual strip and be able to power wash them or put them through an industrial dishwasher and you have the most versatile heavy duty fly screen door available. 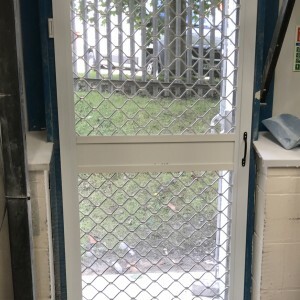 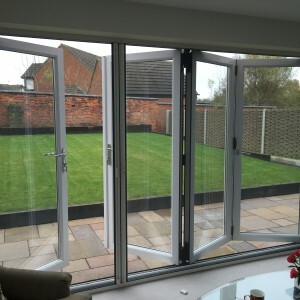 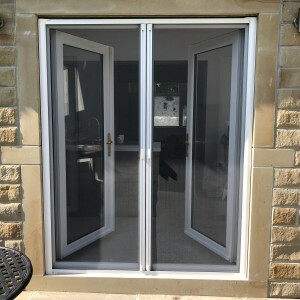 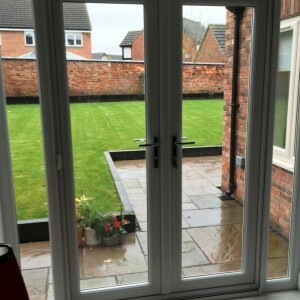 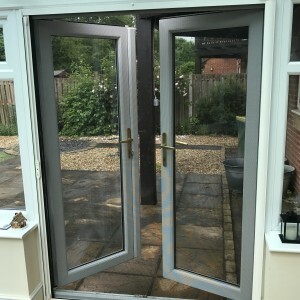 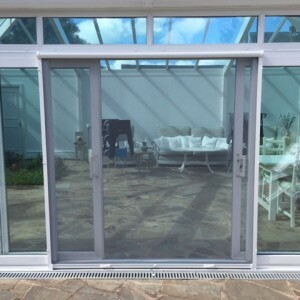 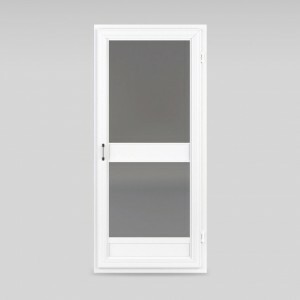 These fly screen doors are manufactured to your exact measurements so all you have to do is screw the header rail onto the frame and hang the strips in position, minutes to install, years of trouble free maintenance. 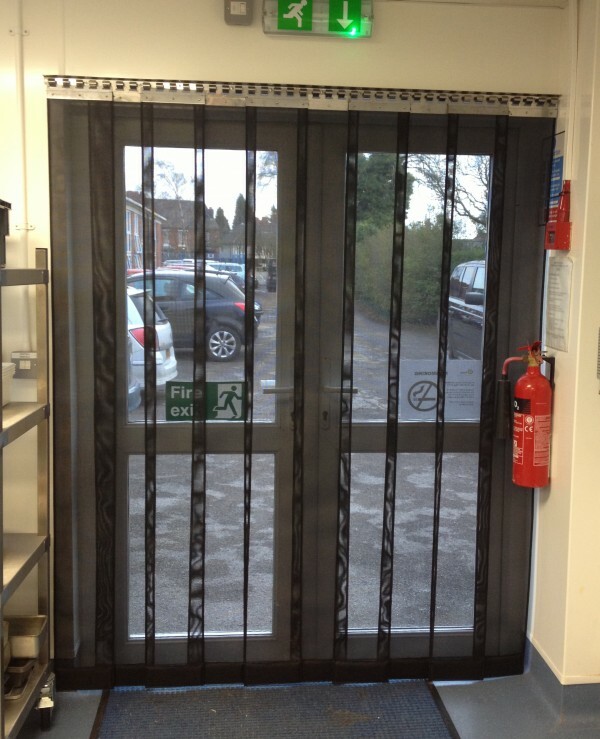 In addition to keeping your working environment insect free the whole year round, our heavy duty screens also keep out other pollutants and debris such as leaves – without blocking out natural daylight or the flow of fresh air. 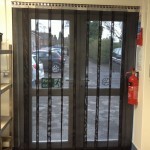 This helps to create a comfortable atmosphere which is highly productive and enjoyable to work in.